The latest version of Samsung Tool v29.3.1 is released by Z3X box team. It is now available to free download from our website. First time in the world this update comes with additional Repair and patch cert (repair network) for Marvell PXA and samsung phones. The update log of Samsung Tool 29.3.1 latest version is below. Download now the Samsung Tool latest version below and take advantage of newly added features. 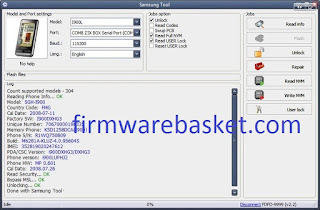 0 Comment "Z3X Samsung Tool 29.3.1 Latest Free Download"